Home / STORE / Naasgransgarden. / Lantern Nisse on Mushroom. 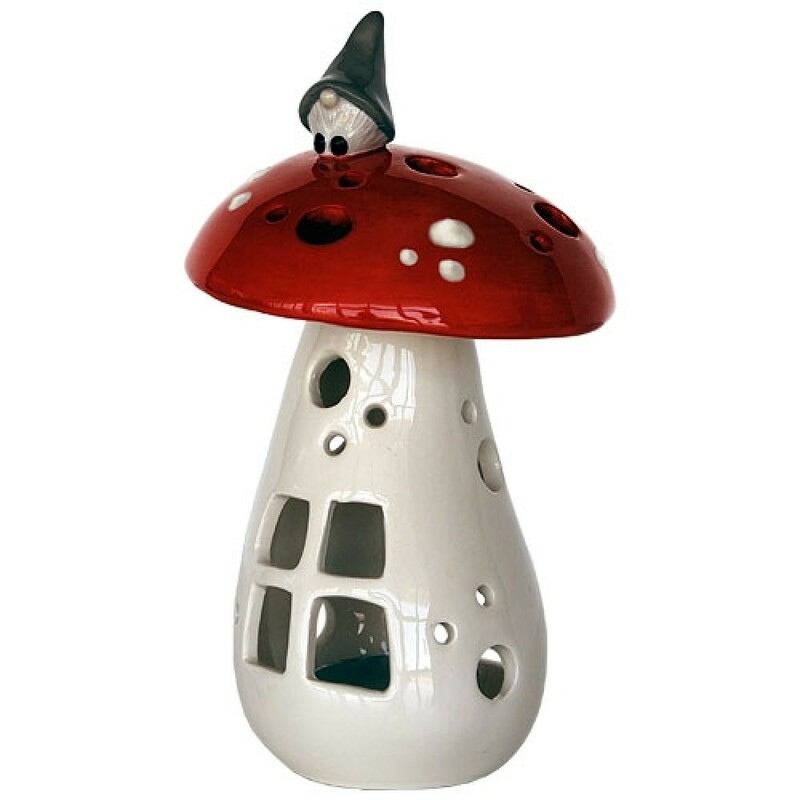 / Lantern Nisse on Mushroom 14cm. This adorable little Nisse sits on top of a mushroom watching the world go by while having a rest from looking after the animals. Ceramic tealight holder stands approximately 14cm high.